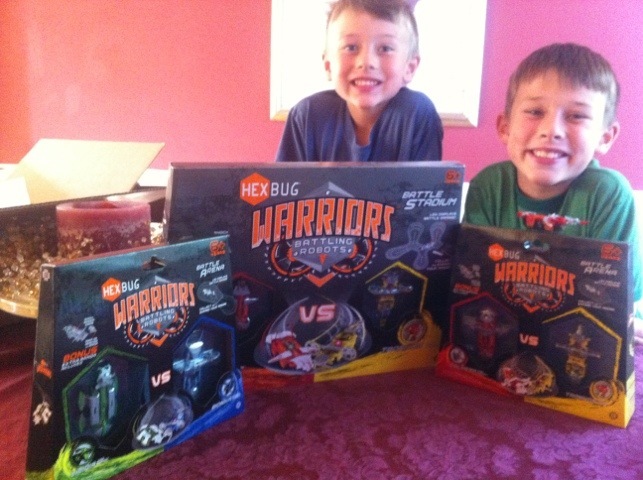 The latest release (this month) from HEXBUG are HEXBUG Warriors. 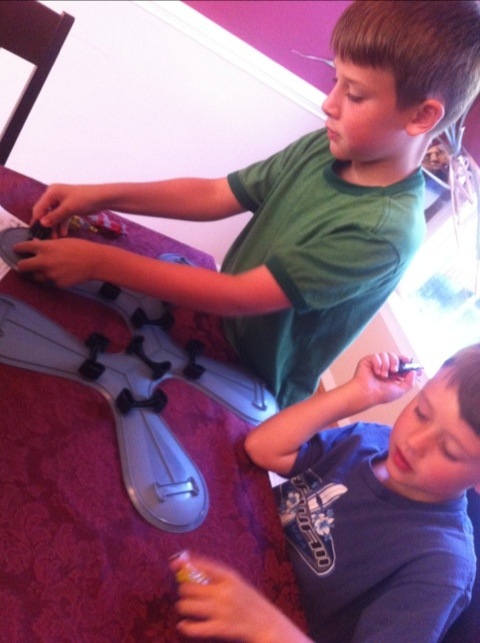 My boys are crazy about HEXBUG Nanos as you can see from my post early last year. They’ve spent many hours battling their HEXBUG nanos. So of course they were totally over the moon to check out the latest product, HEXBUG Warriors. Here’s a few photos and you can watch the video of my boys first playing with them when we opened them up! You can get HEXBUG Warriors on Amazon – make sure you don’t pay too much of a crazy price, I notice a lot of smaller sellers are inflating prices. Hexbugs are cool!. . what a great presentation. . .
love the way the little hb’s chase around. . . .
hey, does anyone else think the track looks like an amoeba? Great commercial!!! The boys are stars!!! !